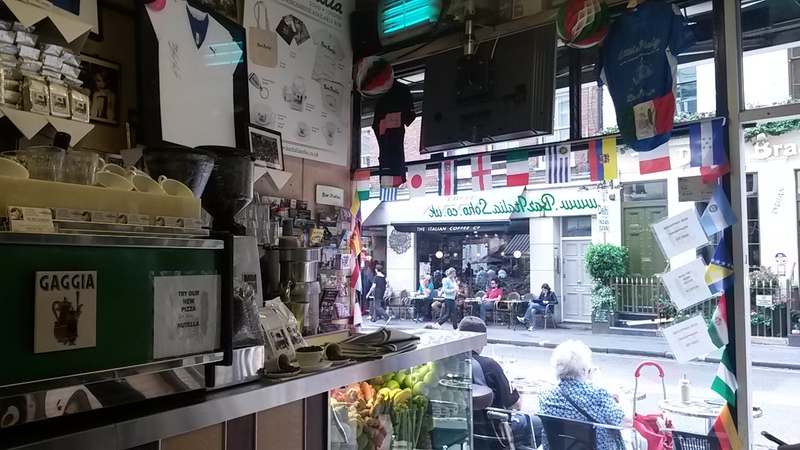 While the modernisation, and some might say the sanitisation, of Soho continues there are some hold outs that we all hope will remain on the once grimy and seedy streets – Garlic and Shots, Trisha’s, Ronnie Scott’s and Bar Italia to name a few. 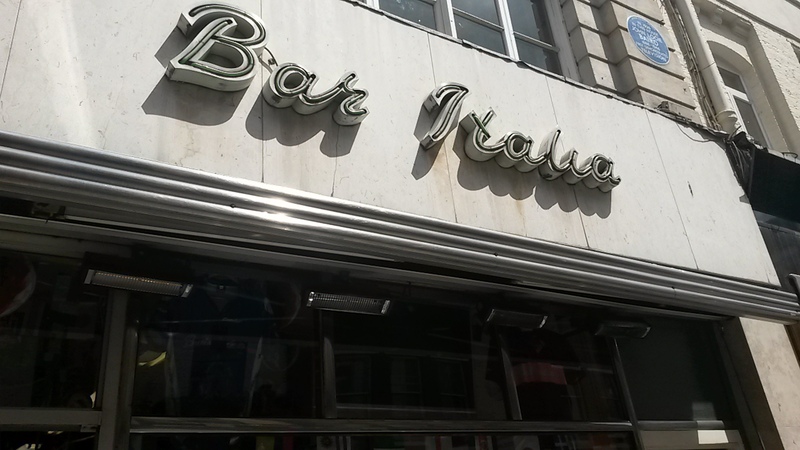 Bar Italia, a small cafe on Frith Street, has been serving locals and tourists alike for 65 years. Founded by Lou and Caterina Polledri originally in Covent Garden, but moving to its current location in 1949, it is now run by their grand children Antony, Luigi and Veronica Polledri. I was expecting a very traditional Italian style cappuccino with froth, not foam, and a layer of thick espresso hiding at the bottom. 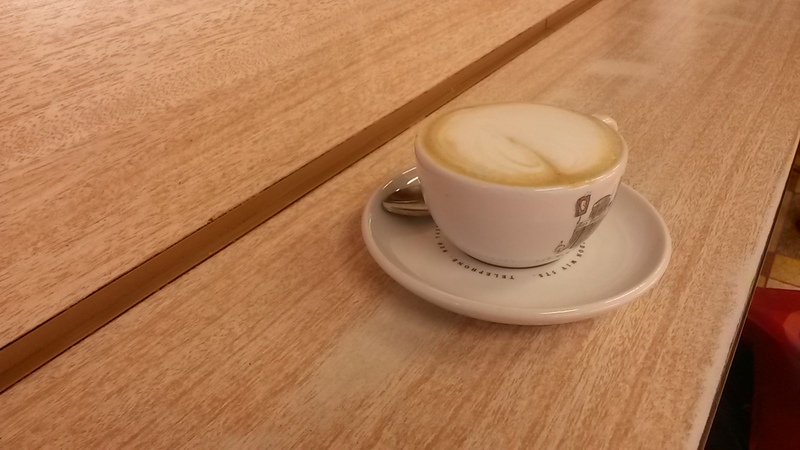 I was surprised to find that their cappuccino was actually more similar to modern, Antipodean drinks, with a creamy, foam and subtle, deep coffee flavours with just a hint of the bitterness and kick I was expecting. A well balanced drink but at £3 a cup it is over-priced. Great, authentic Italian atmosphere here. Whether you’re sat inside on the high seats under the memorabilia and flags or outside on the pavement among the comings and goings of Soho, this feels like you’re at the heart of the city. The owners are chatty and friendly but with an attitude that adds to the European feel. Not much going on food wise apart from some sandwiches and cakes that look like they’ve been sat in the deli fridge for a week or so. As mentioned, its friendly service but with attitude and occasional abuse yelled at the regulars. It’s all done with a smile but can be a little overwhelming for those wanting a quiet coffee. The posters and memorabilia are like walking into a Soho museum, but apart from that there’s not much else. It’s all about the coffee and atmosphere. A Soho classic that hopefully will be with us for another 65 years. It’s a few years since I’ve been but great assessment. And yes, £3 is a bit steep! But I’m glad it’s still there.